Since I am fan of wood floors, and always have been, I was very interested to find out why, exactly, they have been so popular for so long. Sure, there have been decades when unique carpeting has been all the rage: colorful wall-to-wall varieties in post WWII homes, shag in the 1970s (did the vacuum ever really get it all the way clean? ), and sophisticated Berber in the 1990s. Throughout the decades however, wood flooring has held its own and continues to do so. As our population is much more transient and much, much more interested in all aspects of real estate, homeowners want easy maintenance and the most return on their investment when it comes time to sell. Wood flooring and their laminate cousins check these boxes. History of Wood Floors in the U.S. Early American colonists implemented the use of wood planks as flooring due to the abundance of available wood around their settlements. The planks were wide and thick because each one was made by hand. The machinery for efficient and swift cutting was not yet invented. These planks were left bare and formed a patina after years and years of use. Because man was hand cutting, sawing, and scraping these planks into shape, there were gaps between the planks, allowing for various temperatures and humidity to invade, not to mention losing precious items below. We’re hearing a lot about shiplap these days, but it has origins back to the early settlers who used the technique to shrink the gaps between the boards. Later, after technological advances, tongue and groove installation would also be used. The high shine of polished wood floors in various stains and colors of today were not always the look wood floors portrayed in homes. Polished floors didn’t reach a touch of popularity until the 1880s and 1890s. As the 18th and 19th centuries moved along, decorative features became more and more desirable, but expensive. Painted floors were all the rage and used geometric techniques, like a checker board or more ornate designs. Interestingly, because of the expense, and the new availablity of affordable woven rugs, homeowners began placing the rugs in the middle of the room and decorating the wood floors along the sides, leaving the middle blank. The Industrial Revolution also allowed for reasonably priced and precise sized planks for wood floors. High shines were preferred and began to show up throughout the house, not just in formal or living rooms. The trend of using room sized rugs continued because they could be removed for cleaning. Because of the introduction of mass quantities and less laborious installation techniques, wood floors continue in popularity, but there are a multitude of reasons they remain so today. Aesthetics. Millions of people just prefer the beauty of wood with or without stain and other treatments. Health issues. Allergies and asthma are related to large quantities of carpeting in a home. Cleaning. Wood floors do not necessarily require fancy or expensive cleaning solutions. Room sized rugs are much easier to remove and clean, possibly even outside. History. Wood planks are the earliest forms of decorating, albeit by necessity. They provide a link to our past. Historic home aficionados wouldn’t have it any other way. Ick Factor. Rental properties have a longer life span with wood flooring, and renters prefer not to have leftovers from previous tenants embedded in carpeting, especially in bathrooms. DIY options.There are plenty, and they can be inexpensive and easy for first-time installation. Resale value. Home buyers regularly demand wood floors. 1. Solid Plank. These are exactly as they sound: a piece of real wood from a tree. The planks are thick enough that they can be sanded and refinished multiple times if needed to keep up the polished look. The widths and lengths vary as do the species of trees. 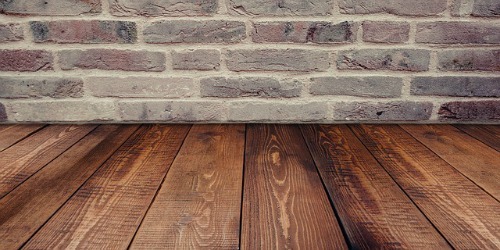 Mahogany, hickory, walnut, oak, and pine are all common types of wood floor boards. 2. Reclaimed Wood. The planks are simply recycled from other projects. Another house, barn, or building provides the lumber. Reclaimed floors are especially popular today for their authentic look and feel, and sustainability, but they are expensive to locate and uniformly install. 3. Engineered Wood. A strong veneer is glued on top of wood planks. Engineered wood is very durable and resists the expanding and contracting solid wood planks endure. Also known as prefabricated wood floors, they tend to be less expensive, but have less opportunity to refinish. At most, it’s typical for one or two refinish processes. Thicker engineered planks endure wear better than the less expensive, thinner options. 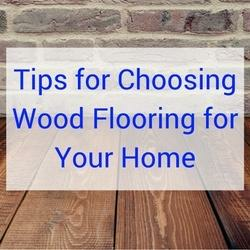 Among these choices, there are endless ways to use wood or wood products for home flooring. Realtor Mag suggests buyers consider these questions before making their purchase. There are many reasons to love wood flooring, but there are detractors of the wood floor movement. 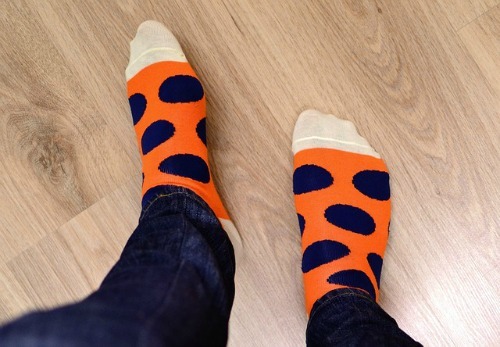 They cite the hard feel underfoot, the loud noise the wood reverberates, expensive costs, scratch factor, and inability to handle excess moisture in case of a leak or flooding. Gratefully, although the cleaning solutions for wood floors seem endless, pros really only suggest a thorough vacuuming, dusting, and warm water with or without vinegar added. Industry leading flooring company Pergo provides a handy chart for both laminate and wood floor cleaning techniques. Of course the fashion world and in turn, interior design, is cyclical, and the popularity of wood floors will inevitably wane, but they will never leave our houses because it’s ingrained (ouch, bad pun) in our history as a nation. Prefer a rental with wood floors? MilitaryByOwer has them listed. Homeowners and property managers know this is an amenity renters prefer, and normally list the flooring types in their descriptions. Plus the great pictures show exactly what floors you're getting!